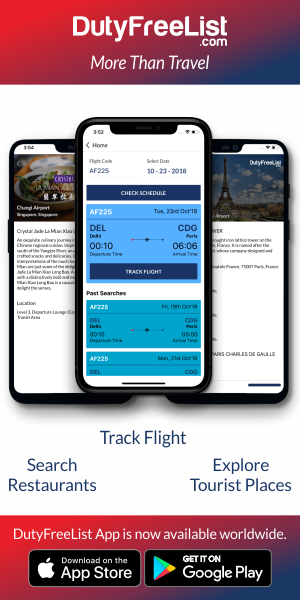 Wales is a beautiful country of The United Kingdom known for its rugged coastline, mountainous national parks, distinctive Welsh language and Celtic culture. Cardiff is an excellent base from which to begin exploring the rest of the country. With its beautiful castles, arcades, and historic buildings, it’s a city with plenty of places to visit and things to do. Snowdonia is a mountainous region in northwestern Wales and a national park. The park’s historic Snowdon Mountain Railway climbs to the summit of Wales’s highest mountain, Mount Snowdon, offering views across the sea to Ireland. 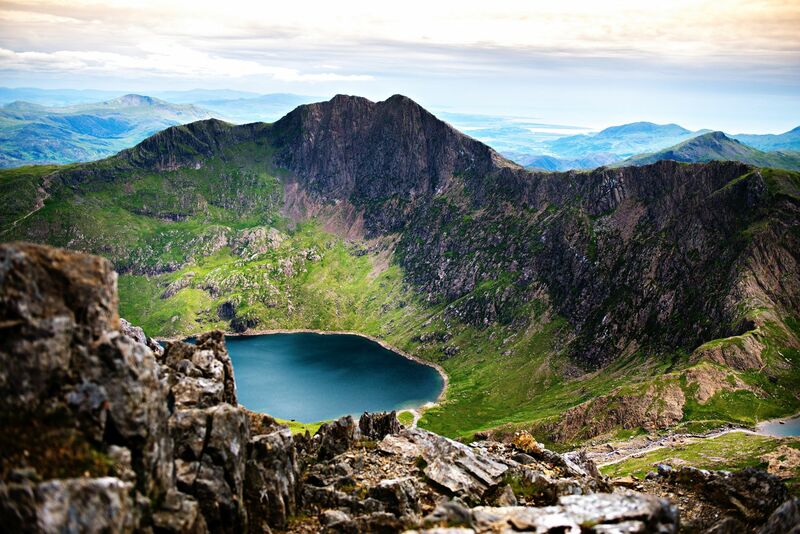 Snowdonia National Park is also one of the most popular hiking and climbing destinations in Britain and extends from the coast all the way to Bala Lake. Devil’s Bridge is three bridges spectacularly stacked atop each other, with the oldest dating from the 11th century and the newest built in 1901. Devils Bridge Falls is a world famous tourist attraction 12 miles from Aberystwyth. These unique waterfalls have attracted many thousands of visitors since the 18th century, including William Wordsworth who wrote about the “Torrent at the Devil’s Bridge”. This walk takes a minimum of 45 minutes. Difficult walk. 675 steep, uneven natural stone steps. Afterwards, visit Hafod Estate, 200 acres of lovingly restored woodlands and 18th-century gardens once considered the finest in Britain. While the manor house is long gone, visitors can enjoy pleasant hikes along well-marked trails past waterfalls, ancient trees, and the estate’s old, formal walled gardens. Brecon Beacons National Park encompasses one of the most beautiful parts of Wales. It offers many things to do like Abseiling & Rock climbing, underground trip, cycling & mountain biking, horse riding & trekking, stargazing, walking and watersports. Be sure to explore the park’s many caves and waterfalls, especially Henrhyd Falls at Coelbren. Just outside the park, near Abergavenny, you can tour a coal mine at Big Pit National Coal Museum. Wales was once famous for its mining operations, in particular, the mining of slate used for the roofing still so prevalent here. While the majority of these mines and quarries have closed, the narrow-gauge railways used to shift goods (and later, Victorian-era tourists) around the country have been restored and now provide scenic excursions. Many of the more prominent lines, such as the 14 mile-long Ffestiniog Railway running through Snowdonia National Park, offer unique train driving courses and volunteer opportunities to add to the experience. 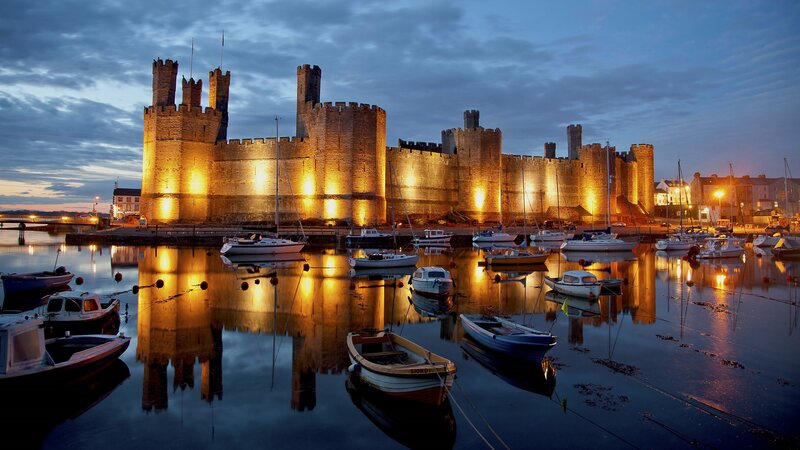 Caernarfon Castle is one of the largest castles in the country. With its 13 towers and two gates, this massive castle is recognized as one of the most impressive and best-preserved medieval fortresses in Europe. King Edward, I built it in the 13th century as a seat for the first Prince of Wales. It dominates the waters of the River Seiont and the Menai Strait on one side and is protected by a moat on the other. 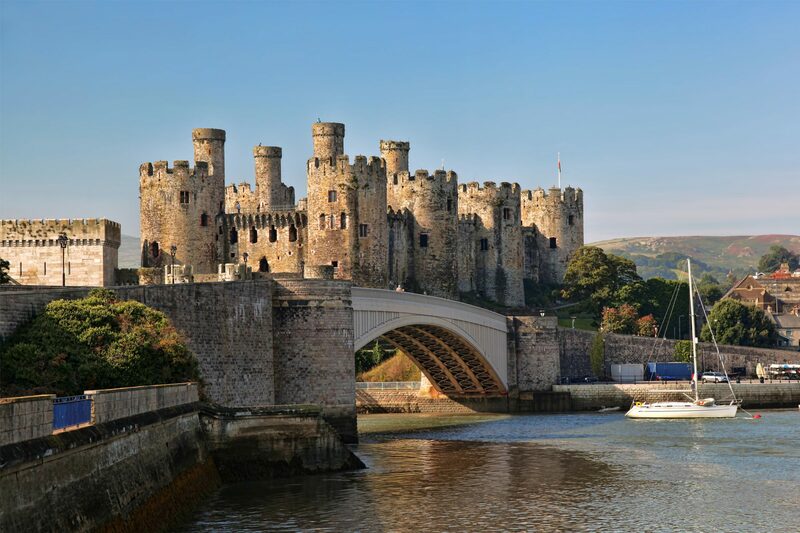 A short distance from Manchester, Conwy offers something for everyone: a stunning castle, medieval architecture, and plenty of shopping. The best views of Conwy Castle and River Conwy, with its suspension bridge designed by Thomas Telford, are from the 13th-century town walls built by King Edward I to keep the Welsh at bay. Constructed as part of a broader project to create the walled town of Conwy, the combined defences cost around £15,000, a considerable sum for the period. 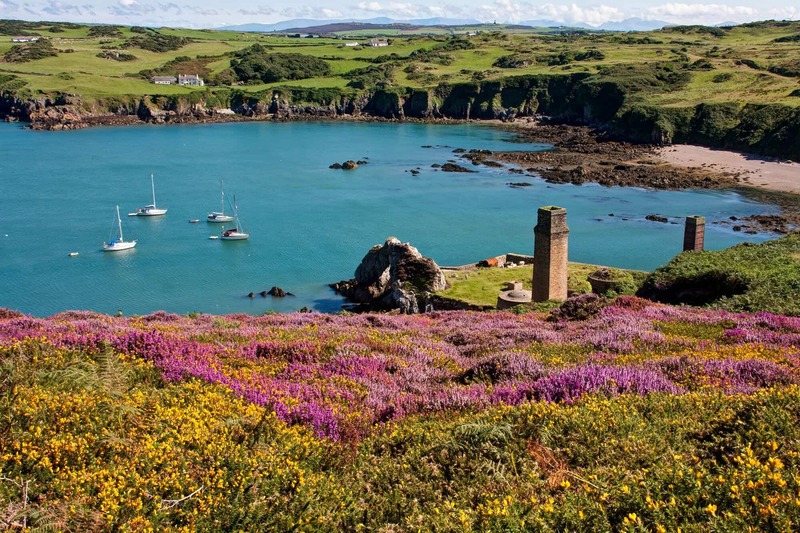 Pembrokeshire Coast National Park is a national park along the Pembrokeshire coast in west Wales. It is famous for its coastline. Other Pembrokeshire coast highlights are Pembroke Castle, St. David’s Cathedral and idyllic fishing harbours such as Laugharne, where Welsh poet Dylan Thomas lived for much of his life; his boathouse home above the bay is now a museum. Bodnant Garden is a National Trust property near Tal-y-Cafn, Conwy, Wales, overlooking the Conwy Valley towards the Carneddau mountains. It is one of the most beautiful gardens in Britain, created over many years by generations of the McLaren family and brought to its present heights by the 2nd Lord Aberconway. Highlights of the spectacular gardens are the grand formal terraces, overlooking views across the River Conwy to Snowdonia, and the famous Laburnum Arch. This curved walk of about 50 yards is covered with laburnum, whose abundant, long blossoms cover it in cascades of yellow in late May and early June. It’s known for its beaches and ancient sites. The island is accessed by the 19th-century Menai Suspension Bridge and the Britannia Bridge, rebuilt in the 20th century. The Isle of Anglesey is home to many quaint; small fishing villages sprinkled along its more than 100 miles of attractive coastline.